It’s the casualties that dominate our thinking on the First World War – the dead – all those thousands of soldiers who lie buried on the battlefields of the world. Who were they? Where did they come from? What were they fighting for? How did their families cope? Can we ever know? In the case of the British we can get an idea because Britain, alone among the combatant nations, allowed their next-of-kin space for a personal inscription on the War Grave Commission’s headstones. And these inscriptions give us a piercing glimpse into the minds of the men and women of the British Empire who mourned their dead; into their pride, love, patriotism, dignity, anger, grief, resignation and despair. It’s as if the stones speak – and some of them do: “Remember whatever happens it will have been worth while”; “Mother dear I must go”; “I would not have missed it for anything”, “Why?”. 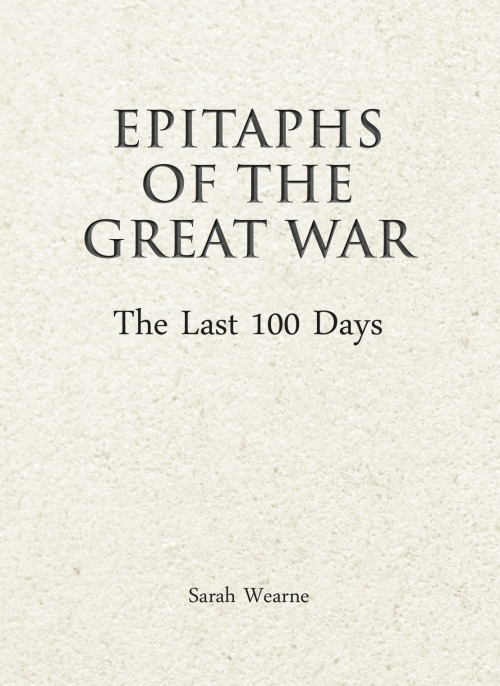 Epitaphs of the Great War – The Last 100 Days is the third instalment in an edited collection of headstone inscriptions from the graves of those killed during the Great War. Limited by the Imperial War Graves Commission to sixty-six characters – far more restrictive than Twitter’s 140-character rule – these inscriptions are masterpieces of compact emotion containing as they do the distilled essence of thousands of responses to the war. 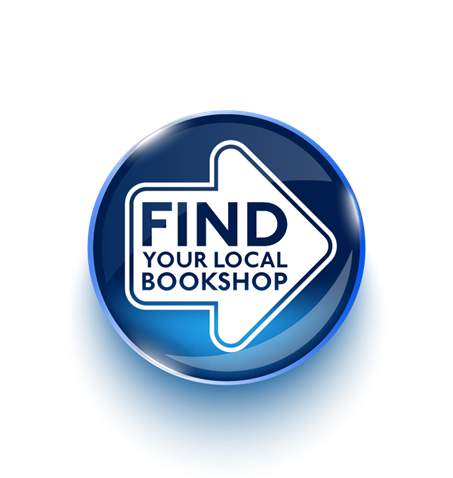 However, their enforced brevity means that many inscriptions relied on the reader being able to pick up on the references and allusions, or recognise the quotations – and many twenty-first-century readers do not. In this selection of one hundred inscriptions from the battlefield cemeteries, the author, by expanding the context – religious, literary or personal – has been able to give full voice to the bereaved. 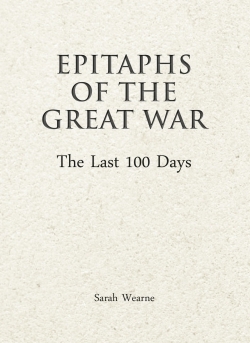 This volume covers those killed in France and Flanders during the period commonly known as the last 100 days of the war, a period from 8 August to 11 November 1918.